I'm in the midst of the crazy week before school starts, but I wanted to share the welcome poster I made for my classroom this year. I think this might be one of my favorites! I used my Silhouette Cameo for the whole thing. The font is called KG Always a Good Time. The fish are an Echo Park cut from the Silhouette Online Store. I used American Crafts textured cardstock for the solid pieces and then had a great time using up some of my scraps for the patterned pieces. 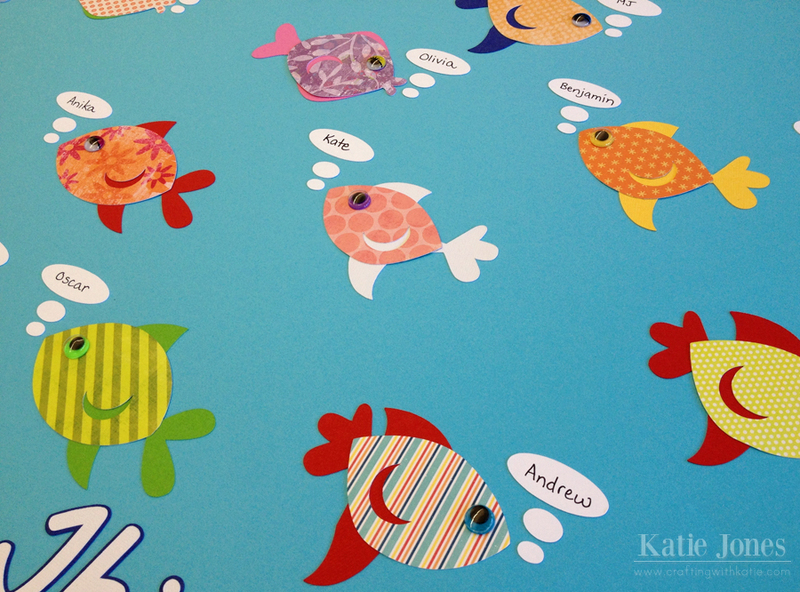 I cut my bubbles from smooth Bazzill cardstock so that it would be easy to write the students names on them. Get ready for sneak peeks of the new My Creative Time release beginning on Monday! It's a FUN one, I promise!!! They are going to love it!! Super cute! Super cute idea to use the fish on a welcome poster. 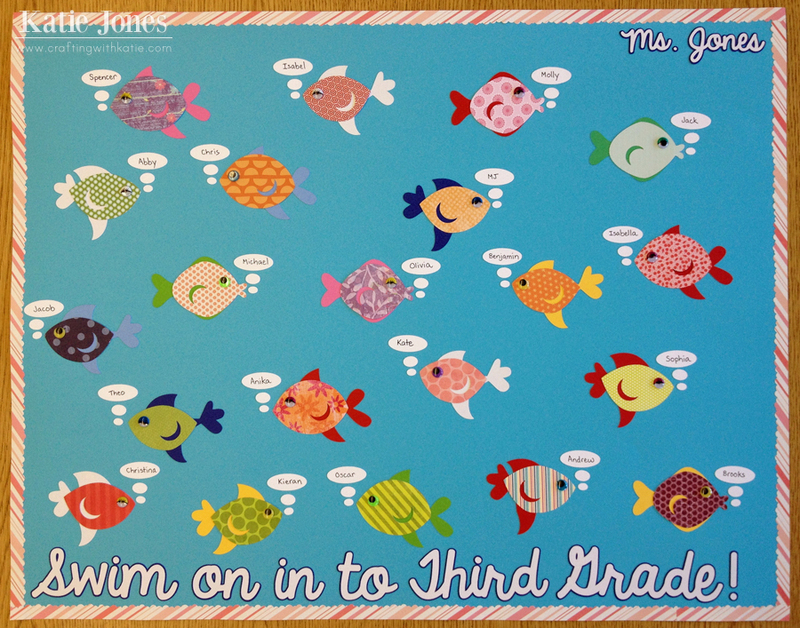 The summer went fast and your poster should help ease the jitters of a new school year and teacher :D Great job! I think I am ready for a new release...guessing Halloween! Poster is outstanding! 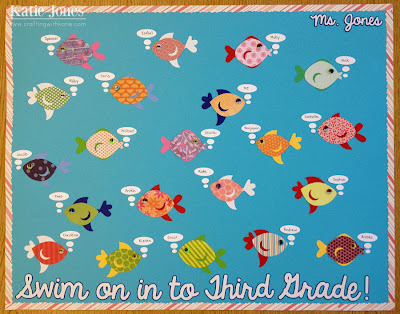 Very cute and great for 3rd graders! Great job! Enjoy the year! Too cute. Your students are so very lucky to have you as their teacher. These are just great.